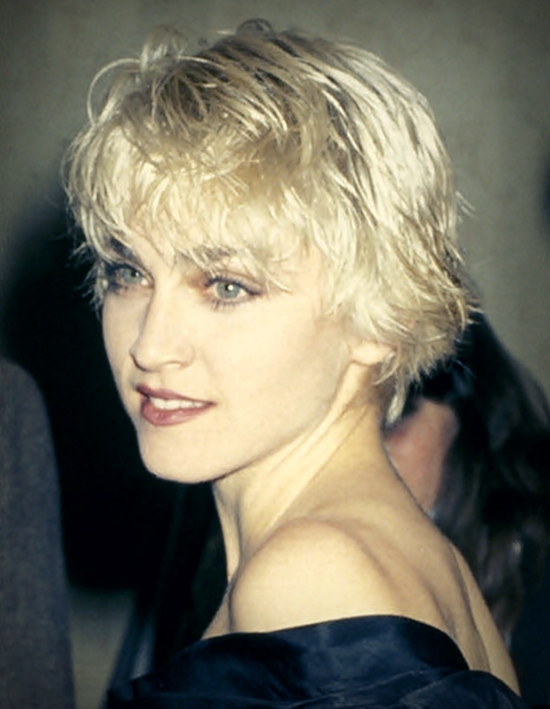 On November 11 1987, Who’s That Girl, starring Madonna, was released on home video by Warner Bros.
On April 17 1986, Madonna and Sean Penn attended the Los Angeles premiere of his film At Close Range at the Bruin Theater. Sporting a new cropped, platinum blonde hairstyle, Madonna and her notoriously media-shy husband paused to speak with various media outlets as they made their way down the red carpet. 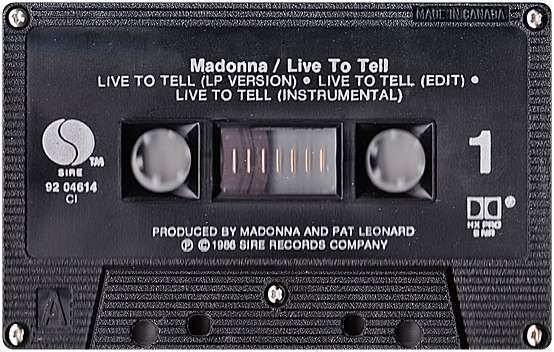 The film, which co-starred Christopher Walken and Mary Stuart Masterson, featured Madonna’s latest single, Live To Tell, along with an original musical score by Patrick Leonard comprising mostly of motifs inspired by Live To Tell‘s minor chord changes. Its director, James Foley, helmed several of Madonna’s music videos for the True Blue album and directed her next film, Who’s That Girl. 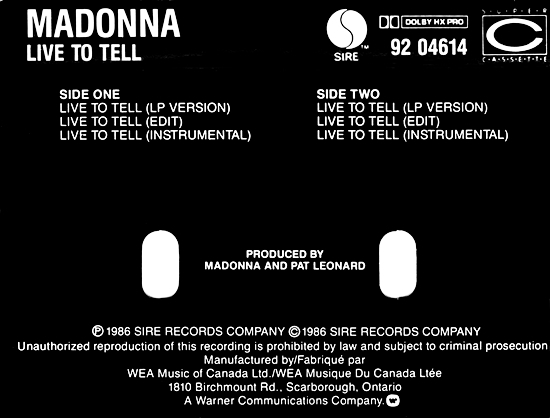 On March 26 1986, Live To Tell was released as a single in North America by Sire Records. The haunting and dramatic ballad, written and produced by Madonna & Patrick Leonard, was the first commercially released collaboration between the pair – a songwriting partnership that is viewed by many fans as one of her most creatively successful. Leonard had previously been involved with Madonna’s Virgin Tour as musical director, and when Madonna agreed to participate in Live Aid in the Summer of 1985, she asked him to collaborate on a new song for the performance, which evolved into Love Makes The World Go Round. 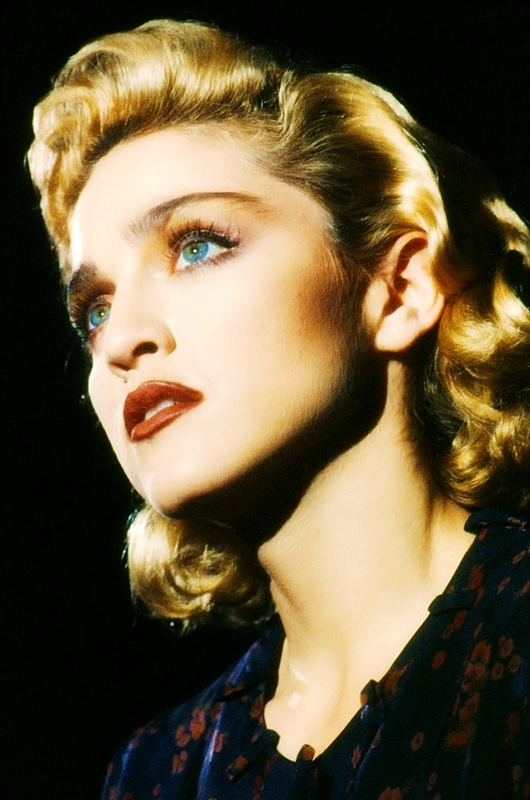 Although both songs would find their way on to Madonna’s next studio album, True Blue, at the time of Live To Tell’s release the album’s title had not yet been decided. 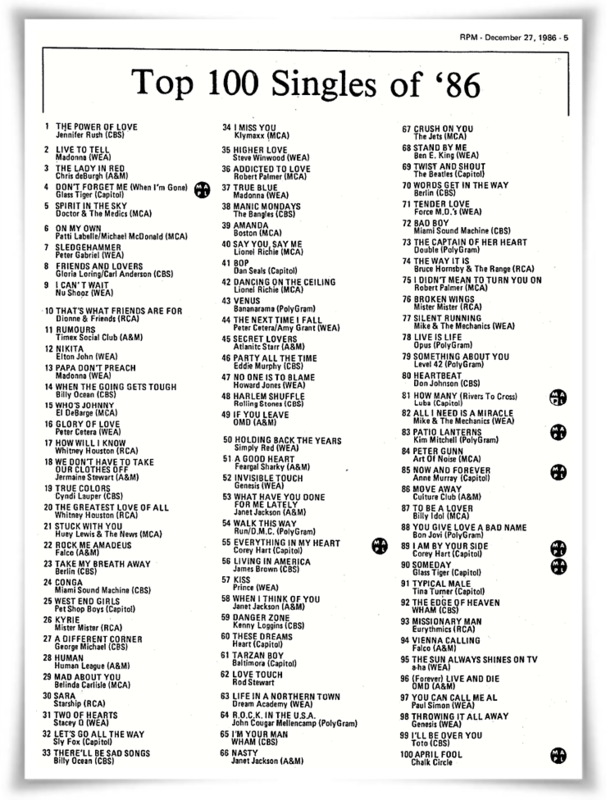 Instead, the song was used to promote Sean Penn’s film At Close Range, in which it was featured alongside an original score composed by Leonard. 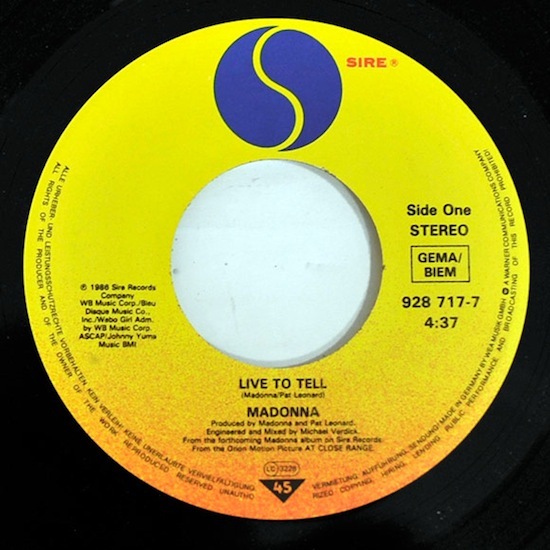 When the demo recording of Live To Tell eventually surfaced, it became evident that Madonna had in fact re-recorded the first verse, but all remaining vocals do indeed appear to have been carried over from the demo to the final mix (along with a generously added dose of reverb to smooth over the rough edges of the demo take). Given the song’s dark undercurrents and unresolved narrative, it was a bold choice for a single release. It marked a dramatic shift from the yearning love song, Crazy For You – her only other ballad to have been issued as a single at the time. But any radio programmers who were hesitant to consider Madonna as a serious artist simply couldn’t deny the artistry of the song and nor could record buyers, with the combined support sending Live To Tell straight to the top of the pop charts. It was also a significant Adult Contemporary crossover success, becoming her first single to reach number-one on Billboard’s Hot AC chart where it reigned for three weeks. 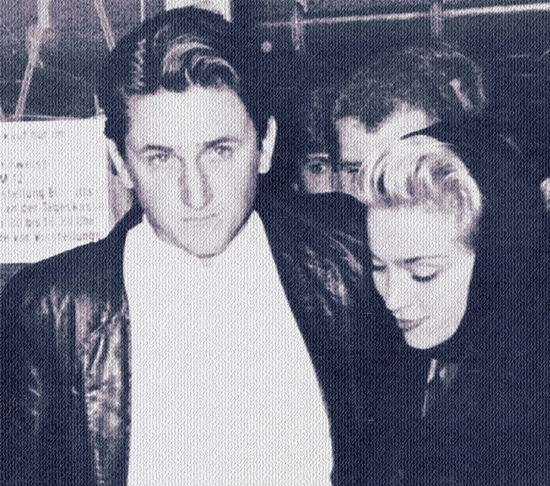 On February 20 1986, Madonna and Sean Penn attended the premiere of his film At Close Range at the Berlin Film Festival in Berlin, Germany. 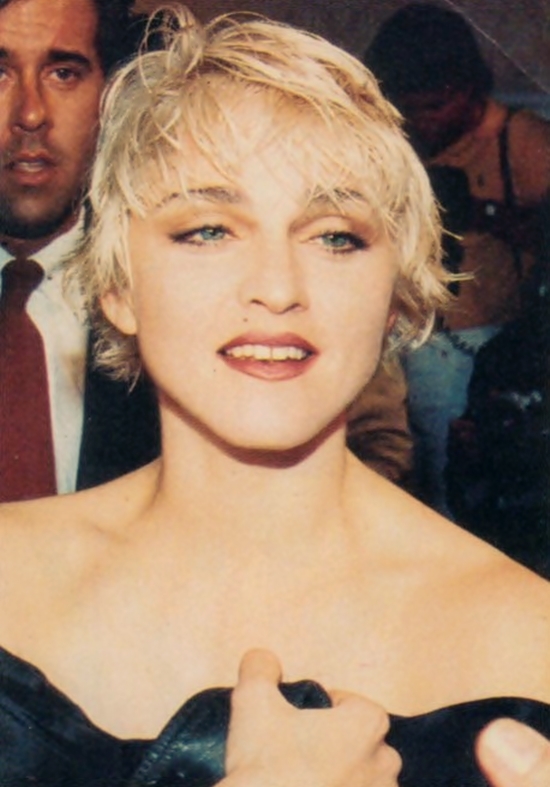 Madonna contributed Live To Tell to the At Close Range soundtrack. 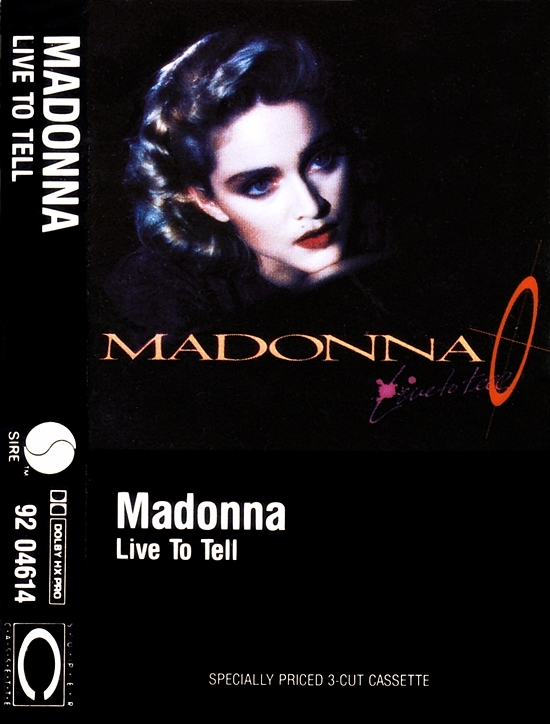 Live To Tell was written by Patrick Leonard and Madonna, and was released as the first single from her True Blue album in March 1986. On June 7 1986, Madonna’s Live To Tell hit #1 in the USA.